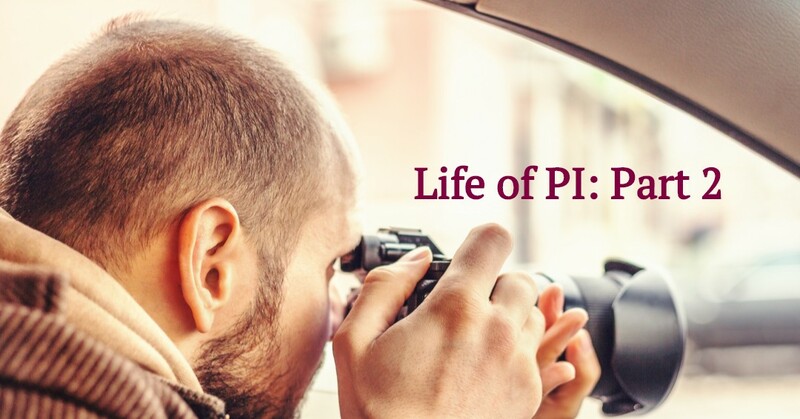 Welcome to part two of a day in the life of a private investigator, where we’ll continue to dive into what the typical day consists of in the Reveles Intelligence private security department here in San Antonio. In part one of this series, we explored the first steps that go into an investigation, from the initial inquiry where we are contacted for a quote to all of the preparation stages that are essential for having efficient and effective results. Now, let’s take a closer look at a day in the field as a private investigator, including the techniques and resources at our San Antonio private investigators’ disposal and how we implement them to achieve success for our clients — no matter the type of case. When a private investigation involves a person whose whereabouts have been unknown for extended periods of time, our tracing services are suitable for cases where you need to find the address and/or number of an individual. Perhaps you’re tracing a missing debtor, a long lost friend or family member, or a beneficiary. In any case, we have access to private information that will assist your search and help you quickly find the person in question. If your investigation is focused on a person’s movements, behaviors, or activities rather than simply finding them, you are likely in need of our surveillance services. There are various forms of surveillance — from unmanned surveillance such as vehicle tracking to manned surveillance that requires fieldwork conducted by our investigators. We take extra care to remain discreet at all times during surveillance operations; our investigators wear body cameras to capture developments on camera, and specially modified vehicles to gather evidence without being noticed by the person in question. Meanwhile, our vehicle trackers are designed to be hidden out of sight on the vehicle and can be removed in seconds. Once our surveillance operation is complete, we get to work on compiling a full intelligence report. This detailed report includes a complete log of all observations, along with times, locations, and any images or video evidence we collect along the way. When putting your report together, we always bear your initial goals in mind. Whether you’re planning for court action or hoping to put your mind at ease about an employee or partner, our results will be tailored to the purpose of the investigation. If you decide to proceed with legal action as a result of the evidence we compile, our private investigators are happy to assist you. Our process servers can deliver legal documentation, and act as witnesses in court where necessary. We also offer free advice on how best to present evidence for your case. The life of a private investigator may not be quite as glamorous as James Bond films or Sherlock books may lead you to believe. Nevertheless, our private investigation department in San Antonio provides people with real results on a variety of different cases. The diverse nature of each case tests the skills and creativity of our private investigative team, ensuring that we get to the bottom of any inquiry that lands on our desk (or in our inbox). No matter what type of investigation you are in need of, you can trust the team at Reveles Intelligence to provide you with a professional private investigator for your case that won’t rest until you get the answers you are after. Learn more about the variety of private investigations we are capable of conducting and contact us today for a free consultation.